U.S. energy companies added oil rigs for a 14th week in the last 15, extending a nine-month recovery as drillers take advantage of crude prices that have held mostly over $50 a barrel since OPEC agreed to cut supplies in late November. Drillers added eight oil rigs in the week to Feb. 10, bringing the total count up to 591, the most since October 2015, energy services firm Baker Hughes Inc said on Friday. During the same week a year ago, there were 439 active oil rigs. Since crude prices first topped $50 a barrel in May after recovering from 13-year lows last February, drillers have added a total of 275 oil rigs in 33 of the past 37 weeks, the biggest recovery in rigs since a global oil glut crushed the market over two years starting in mid 2014. U.S. energy companies added oil rigs for an eighth week in a row, extending a seven-month drilling recovery as crude prices remained near a 17-month high. Drillers added 13 oil rigs in the week to Dec. 23, bringing the total count up to 523, the most since December 2015, but still below the 538 rigs seen a year ago, energy services firm Baker Hughes Inc said on Friday. Since crude prices recovered from 13-year lows in February to around $50 a barrel in May, drillers have added a total of 207 oil rigs in 27 of the past 30 weeks, the biggest recovery in rigs since a global oil glut crushed the market over two years. The Baker Hughes oil rig count plunged from a record 1,609 in October 2014 to a six-year low of 316 in May as U.S.
U.S. oil drillers increased rigs this week for a 21th week in the last 24, as energy firms follow through on plans to add rigs made months ago when crude was still trading over the key $50 a barrel level analysts said should lead to more drilling. Drillers added two oil rigs in the week to Nov. 11, bringing the total count up to 452, the most since February, but still below the 574 rigs seen a year ago, energy services firm Baker Hughes Inc said on Friday. Since crude topped $50 a barrel in May, June and October, drillers have added 136 oil rigs, its biggest recovery in over two years since prices collapsed due to a global oil glut. The Baker Hughes oil rig count plunged from a record 1,609 in October 2014 to a six-year low of 316 in May as U.S.
General Electric Co said on Monday it would merge its oil and gas business with Baker Hughes Inc, creating the world's second-largest oilfield services provider as competition heats up to supply more-efficient products and services to the energy industry after several years of low crude prices. The deal to create a company with $32 billion in annual revenue will combine GE's strengths in making equipment long-prized by oil producers with Baker Hughes's expertise in drilling and fracking new wells. U.S. oil drilling has seen its best quarter since crude prices tumbled two years ago mainly due to small operators returning to the well pad, but analysts say the continued recovery in the rig count depends on whether OPEC's output reduction plan can bring the market back to $50 a barrel. Since May, drillers have added 100 oil rigs with the rig count rising to 416 rigs last week, that included the most additions in a quarter since the first quarter of 2014, according to oil service firm Baker Hughes Inc. The number of rigs had plunged from a record high of 1,609 in October 2014 to a low of 316 in May after crude prices collapsed in the biggest price rout in a generation, in part due to U.S. shale producers adding to a global oil glut. U.S. drillers this week added oil rigs for an eighth consecutive week, the longest recovery streak in the rig count in over two years, as crude prices rebounded toward the key $50-a-barrel mark that makes the return to the well pad viable. Drillers added 10 oil rigs in week to Aug. 19, bringing the total rig count to 406, compared with 674 a year ago, energy services firm Baker Hughes Inc said on Friday. <RIG-OL-USA-BHI>. The oil rig count has risen by 76 since the week ended July 1, the most weekly additions in a row since April 2014, after U.S. crude prices touched $50. Energy companies kept adding rigs despite prices dipping below $40 earlier this month but analysts have revised down rig count growth forecasts. U.S. drillers this week added oil rigs for a seventh consecutive week, according to a closely followed report on Friday, even as analysts revise down rig count growth forecasts and energy firms become more cautious the longer crude holds below $50 a barrel. Drillers added 15 oil rigs in the week to Aug. 12, bringing the total rig count up to 396, compared with 672 a year ago, energy services firm Baker Hughes Inc said. That is the longest streak of rig additions since April 2014 when U.S. oil futures averaged over $100 a barrel. Since July 1, drillers have added 66 oil rigs. "We expect the rig count could stall or even decline due to seasonal drilling activity declines and recent commodity pull back," analysts at U.S.
U.S. drillers this week added oil rigs for a sixth consecutive week, according to a closely followed report on Friday, despite crude prices falling to April lows below $40 a barrel this week. Some producers are still boosting spending on expectations for higher prices in the future. Drillers added seven oil rigs in the week to Aug. 5, bringing the total rig count up to 381, compared with 670 a year ago, energy services firm Baker Hughes Inc said. They have added a total of 51 rigs since the week to July 1, the longest streak of weekly additions since July-August 2015, when 37 rigs were added over six weeks. Energy firms continued to add most rigs in the Permian shale in west Texas and eastern New Mexico. 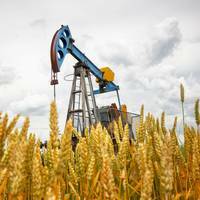 U.S. drillers this week added oil rigs for a fifth consecutive week, Baker Hughes Inc said on Friday, but the oilfield services provider and some analysts cast doubts on a substantial recovery in drilling this year with crude prices heading for their biggest monthly loss in a year. Drillers added three oil rigs in the week to July 29, bringing the total rig count up to 374, compared with 664 a year ago, according to the closely followed Baker Hughes weekly report. U.S. crude futures have slipped below $41 a barrel for the first time since April, pressured by persistently high inventories. The market was on track for a monthly loss of about 15 percent, and is down about 20 percent from highs over $50 in early June when drillers started returning to the well pad. U.S. drillers this week added oil rigs for a fifth week in six, according to a closely followed report Friday, prompting analysts to predict the rig count has bottomed and production will start to edge up early next year. Drillers added 10 oil rigs in the week to July 8, bringing the total rig count up to 351, compared with 645 a year ago, energy services firm Baker Hughes Inc said. Before this week, drillers added oil rigs in only five out of 26 weeks this year, cutting on average eight rigs per week for a total of 195. Last year, they cut 18 rigs per week on average for a total of 963, the biggest decline since at least 1988. After slumping from 1,609 rigs in October 2014 amid the biggest oil price rout in a generation, the rig count started to inch up in June as U.S.
U.S. drillers this week added oil rigs for a fourth week in five, according to a closely followed report Friday, in the best month of producers returning to the well pad since August that signaled a near-two year rout in drilling may have ended. Drillers added 11 oil rigs in the week to July 1, the biggest weekly increase since December, bringing the total rig count up to 341, compared with 640 a year ago, energy services firm Baker Hughes Inc said. In the Permian basin in West Texas, the number of rigs rose by four for a third week in a row to a four-month high of 154. In the first half of the year, drillers cut on average eight rigs per week for a total of 195, compared with last year's cuts of 18 rigs per week on average for a total of 963, the biggest decline since at least 1988. U.S. drillers this week added oil rigs for a third week in a row for the first time since August, according to a closely followed report on Friday, as producers seek more drilling permits after crude prices hit an 11-month high over $51 a barrel last week. Despite a decline in U.S. crude futures to one-month lows to under $47 this week, analysts and producers have said oil over $50 was a key level that would trigger a return to the well pad and drilling permits are a leading indicator of future drilling. 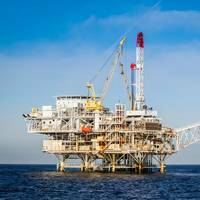 Drillers added nine oil rigs in the week to June 17, bringing the total rig count up to 337, compared with 631 a year ago, energy services firm Baker Hughes Inc said. U.S. energy firms this week added rigs drilling for oil for a second week in a row for the first time since August, energy services firm Baker Hughes Inc said on Friday, after crude prices this week rallied to an 11-month high over $51 a barrel. Analysts and producers have said U.S. crude prices over $50 would trigger a return to the well pad after a near two-year slump in drilling. Drillers added three oil rigs in the week to June 10, bringing the total rig count up to 328, compared with 635 a year ago, Baker Hughes said in its closely followed report. Before this week, drillers have added rigs in only two weeks so far this year, cutting on average 10 oil rigs per week for a total of 211. U.S. energy firms this week added rigs drilling for oil for the second time this year, energy services company Baker Hughes Inc said on Friday, after crude prices briefly tested a seven-month high over $50 a barrel over the past two weeks. That was a key price level that analysts and producers had said would likely trigger a return to the well pad. Drillers added 9 oil rigs in the week to June 3, bringing the total rig count up to 325, compared with 642 a year ago, Baker Hughes said in its closely followed report. The new rigs were scattered across many basins and states with the Permian in West Texas and New Mexico gaining five, while Alaska and Texas gained three each. Prior to this week, energy companies added only one rig so far this year, during the week of March 18. U.S. energy firms this week kept the number of rigs drilling for oil unchanged for the first time this year, services company Baker Hughes Inc said on Friday, as crude futures trade near a seven-month high. Drillers kept the number of rigs at 318 in the week to May 20, holding at the lowest level since October 2009, Baker Hughes said in its closely followed report. Prior to this week, drillers added only one rig so far this year during the week of March 18. On average, they cut 11 oil rigs per week for a total of 218 so far this year. The number of U.S. oil rigs currently operating compares with the 659 rigs operating in the same week a year ago. U.S. oil drillers cut rigs for an eighth week in a row to the lowest level since October 2009, oil services company Baker Hughes Inc said Friday, even with futures at six-month highs as some energy firms focus on completing wells rather than drilling new ones. Drillers cut 10 oil rigs in the week to May 13, bringing the total rig count down to 318, Baker Hughes said in its closely followed report. The number of U.S. oil rigs currently operating compares with the 660 rigs operating in the same week a year ago. In 2015, drillers cut on average 18 oil rigs per week for a total of 963 for the year, the biggest annual decline since at least 1988 amid the biggest rout in crude prices in a generation. U.S. energy firms cut oil rigs for a fourth week in a row to the lowest level since November 2009, oil services company Baker Hughes Inc said on Friday, as energy firms keep slashing spending despite a more than 50 percent jump in crude futures since hitting a near 13-year low in February. Drillers cut 3 oil rigs in the week to April 15, bringing the total rig count down to 351, Baker Hughes said in its closely followed report. The number of U.S. oil rigs operating compares with the 734 rigs operating in the same week a year ago. In 2015, drillers cut on average 18 oil rigs per week for a total of 963 for the year, the biggest annual decline since at least 1988 amid the deepest rout in crude prices in a generation.